We are proud to be the recipients of TripAdvisor's Award of Excellence for 2013, 2014, 2015 and 2016! We are incredibly humbled and grateful to our amazing patrons as well as our staff for all of their hard work! IL CENA SERVITA AL TAVOLA! Discover the friendly atmosphere of Italian dining at Mi Scuzi, Erie's authentic Tuscany-style bistro, tucked in the quiet corner of 27th & Myrtle Streets. 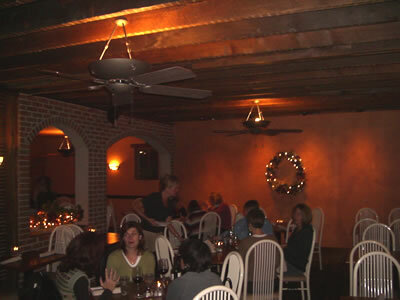 Chef Michael Farsace and his family operate this fine Italian eatery, committed to maintaining Mi Scuzi's reputation for using only the freshest, quality ingredients in all of the made-to-order dishes. Mi Scuzi offers many specialties such as one-of-a-kind offerings from all over Italy, house-made desserts, and exceptionally trained staff. They all add up to a special place to casually dine with your friends and loved ones. Enjoy the finest selection of Italian wines, beer or cocktails at the hand-crafted bar by Dovetail Galleries. Dine alone, with your favorite people, book a dinner meeting or wedding rehearsal dinner, or reserve the entire restaurant for your private party. Our patio is also open, weather permitting, for an al fresco dining experience. Click to read another fantastic review in the November 14th, 2013 Erie Times News Showcase. Click to read Floyd Lawrence's wonderful review of Mi Scuzi in the Erie Times Showcase.